Long known for its robust, award-winning craft beer scene, Denver also excels in a different type of brew. Craft coffee shops are popping up in every neighborhood, providing a more artistic atmosphere and a stronger pour than you’d find at Starbucks. Get your caffeine fix with our Tour de Java, highlighting five of the hottest coffee shops in the Mile High. And remember, please drink responsibly. Thanks to Corvus’ on-site roaster, the entire neighborhood reaps the rewards of its rich, intoxicating aromas. Go for an industrial atmosphere, a knowledgeable staff and a spacious outdoor patio. Black Eye’s name pays homage to the history of its bustling LoHi neighborhood, once a hub for speakeasies, gambling and back-alley brawls. The shop’s intimate feel, antique furnishings and impressive food menu make it a local favorite. 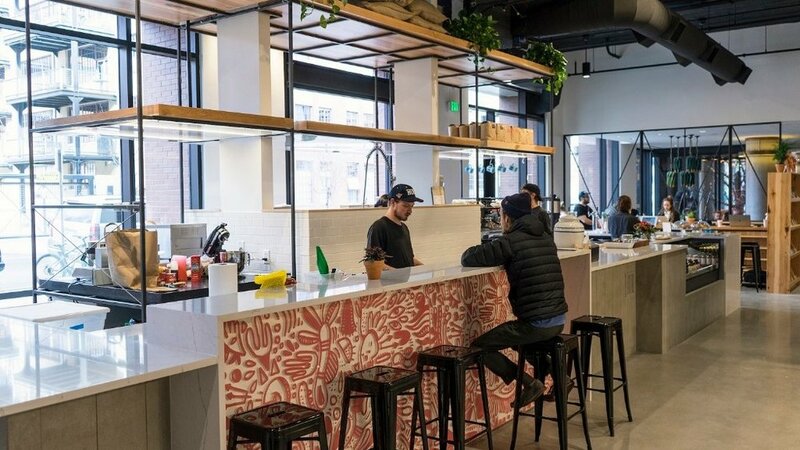 Exposed brick, plenty of farmhouse-style tables and beautifully crafted espresso drinks attract a focused crowd of work-from-homers and students. Bring your laptop or a good book and enjoy the quiet atmosphere. Tucked in downtown’s Dairy Block, the second Huckleberry outpost is the perfect place to grab a latte and peruse the surrounding restaurants and shops. Tea drinkers are also welcome. Located in the upscale Cherry Creek North neighborhood, Aviano’s espresso is an art form. Sidle up to the wraparound bar and watch stylish baristas pull perfect shots. Want the scoop on more Denver adventures? We're here to help. Our concierge services include itinerary recommendations and arrangements, event planning, entertainment and so much more.